SD-WAN? If you’re looking for a cost-effective solution that outranks even MPLS in price, that uses lightweight technology, and has a whole range of benefits that your company can enjoy: look no further than Sequential Networks’ SD-WAN UK. At Sequential Networks, we like thinking about IT logically, which is why we provide such efficient IT solutions, such as our SD-WAN UK technology, which, unlike traditional WAN technology, allows you connectivity into cloud server providers. We’ve invested in next-generation technology since our founding back in 2012. Which is why our SD-WAN solutions are more accessible than alternative WAN providers with significant cost savings. Our quick-deploy SD-WAN has the advantage of improved management, zero-touch configuration, and VPN capability. Software-defined wide-area networks, or SD-WAN, is a specific type of software-defined networking that can be used to connect enterprise networks over larger geographical distances. In layman’s terms, it’s a network solution that will allow your business network to stretch over cities and countries, no matter where your offices are located and easy to manage without a 3rd party. SD-WAN often consists of its own WiFi and firewalls, to keep its services completely encrypted and safe for business networks. This will keep your network 100% independent, ensuring that it only relies on itself and the necessary internet connection to function a big tick for network managers. But you’re surely wondering why you should choose us over other SD-WAN services and providers. Well, with our enterprise-grade WAN connectivity, you’ll be able to deploy faster and more efficiently than traditional WAN technology solutions. Our SD-WAN UK technology is also a completely agnostic network solution, entirely separate to carriers that other SD-WAN technology relies on. These are all just the basic benefits of using our SD-WAN UK technology, of course. You must be wondering how we measure up to MPLS networks, who we’ve mentioned that we’re cheaper than for WAN technology. Cheaper does not mean that we lack quality, at all; just that we’re efficient with the technology we use and aware of how easy it is to make a product eco-friendly. With our SD-WAN UK technology, you’ll have direct control through the use of a centralised cloud-based portal, which allows you to have enhanced visibility, better performance, and unmatched control over your networking. With your new, secure connection, your data will remain encrypted across the entirety of your network infrastructure, making it possible to set up a private connection in minutes, rather than it taking days to do so. Our SD-WAN UK technology works in real time, allowing for a managed service that is internet-based and can handle all WAN traffic from your business’ network. Our software-defined area networks are ready to work with all of your cloud applications and show you how each application performance can be easily improved with this SD-WAN UK technology. There are no geographic boundaries with our technology, giving you global coverage for your business. If there is an internet connection, you can install SD-WAN UK technology with ease. You’ll also benefit from a lack of bandwidth penalties. Our customers can upgrade in moments by adding new links, without having to edit or make changes to their current SD-WAN UK network. When we took on SD-WAN UK technology, what we were looking for was an inclusive, speedy, lightweight version of WAN technology that had features that our customers would find useful and efficient for their business needs. Our SD-WAN UK is perhaps one of the best kinds of WAN technology available, fully featured, and ready to go with WiFi and firewall. SD-WAN UK is resilient. 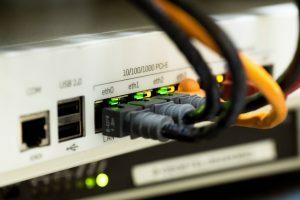 You can use multiple access points and mix technologies with the network, even going as far as to change your broadband to Ultrafast Broadband if you were looking for a little extra speed. Our SD-WAN UK truly does have the best flexibility, and it’s capable of using literally any internet access. We care about your business’ network being independent, which could keep you safe from outside influences or reliance. There’s also several enhanced features to give you even more control over your SD-WAN, including Sequential’s own WiFi, Hosted Voice Services, and efficient monitoring services, among others. Our SD-WAN UK is unbeatable in price. But it doesn’t stop there, because even after your purchase, we can offer our consultancy team who can advise you on where else you can save on your network costs. SD-WAN has the potential to help reduce how complex traditional networks are. This is why we at Sequential Networks are focusing on how we can achieve a safer, more efficient networking connection using SD-WAN networking technology. Our SD-WAN networking services are simple and user-friendly. We’re here to help you look after your business assets when you’re using a networking system to run your business. Because you’ll be a Sequential Networks client, you’ll have access to full IT support 24/7 should any issues arise while using the technology we provide for you. Sequential Networks has offices in both London and Manchester, with teams who are fully dedicated to IT solutions and network security. We promote careful connectivity, offering you the best and most forward-thinking solutions to your IT needs. If you’re unsure whether or not your business or company can benefit from our SD-WAN UK technology, our advice is to enquire with our team as soon as possible. You can easily request more information from us in several ways: by phone, by email, or by using our live chat service. You can also ask for a guided tour of one of our many London and Manchester based facilities, where you’ll be shown around our establishments by one of our trained professionals. Our IT team are experts in their field, and they’ll be more than happy to advise you on the best way to benefit from using Sequential Networks systems and solutions. Contact us to find out more. FOR EXPERT ADVISE TO HELP DESIGN, BUILD AND MANAGED YOUR LONDON LEASED LINE REQUIREMENT.